A PIONEERING project in Belfast that saw a Presbyterian minister transform his church into an Irish cultural centre after his congregation dwindled is to seek partnerships in New York to develop their cross community outreach. 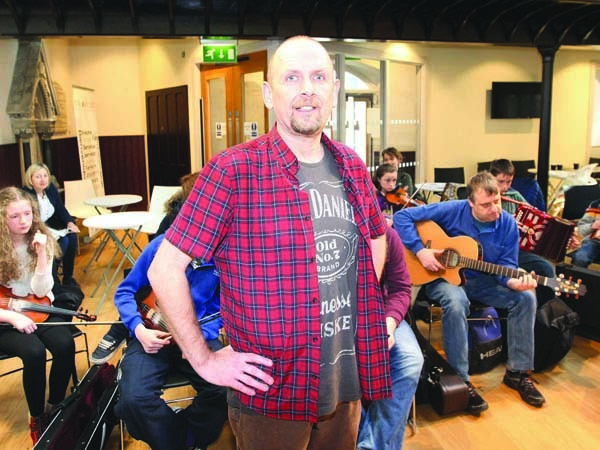 The Duncairn Centre for Culture and Arts’ events manager, Ray Giffen, is to spend a month in New York from March 17 learning how New York’s Irish community has established itself in the arts. Ray will be spending time at the Irish Arts Centre in Manhattan and he says he hopes to learn from their experiences. “I was invited by the Arts Council to put a proposal in for the Anne O’Donohue Award, which enables arts practitioners and managers to further advance their careers,” said Ray. The Duncairn Centre for Culture and Arts was formerly Duncairn Presbyterian Church but with shifting demographics the church found itself in a majority republican neighbourhood as the Troubles continued. That left the church elders with a dilemma – either close it down and sell it off or embrace the new community that surrounded it. The latter path was decided on and the 174 Trust was established to develop the church into an arts centre. The transformation was completed three years ago and it has now taken its place as one of the most innovative cultural centres on the island of Ireland. The Duncairn’s success has been secured due in no small part to generous donations from the Irish Diaspora in the United States and the American Ireland Fund has been a key contributor to both the renovation of the old church and its day-to-day running costs. Ray says they already have strong links to the USA and he hopes to cement those through his trip. “The New York scene in terms of the Irish arts is booming and there’s a lot of cultural organisations and festivals I hope to learn from. “It’s thriving on the other side of the Atlantic and the fact the Irish Arts Centre is about to begin a multi-million dollar redevelopment shows that it’s an important part of New York life. You only have to look at the finance that has been secured for the redevelopment to see that.